I has a GARDEN! Sorta. 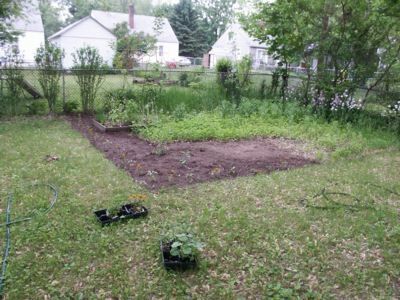 I has the start of a garden but I also has a lot of weeds yet to pull. I mentioned that the wonderful LunarGeography came over on Thursday to help me weed and we had gotten about two feet into the plant mess. My next goal was to make it to the old pepper plot so Friday was all about the weeding. Friday was also all about the staying out until I could barely see the weeds and being feasted on by all the mosquitoes in the neighborhood but by gum, I made it to the old pepper patch. Huzzah! You are currently browsing the Booniverse weblog archives for the day Monday, June 2nd, 2008.